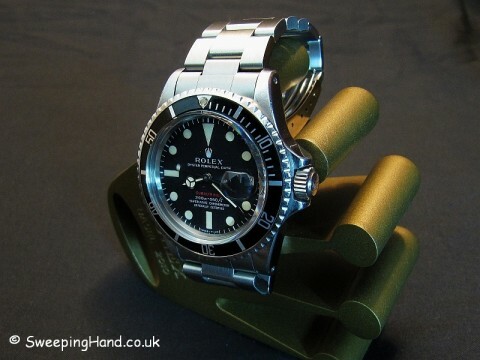 Here we have a vintage Rolex Red Submariner for sale from 1969. 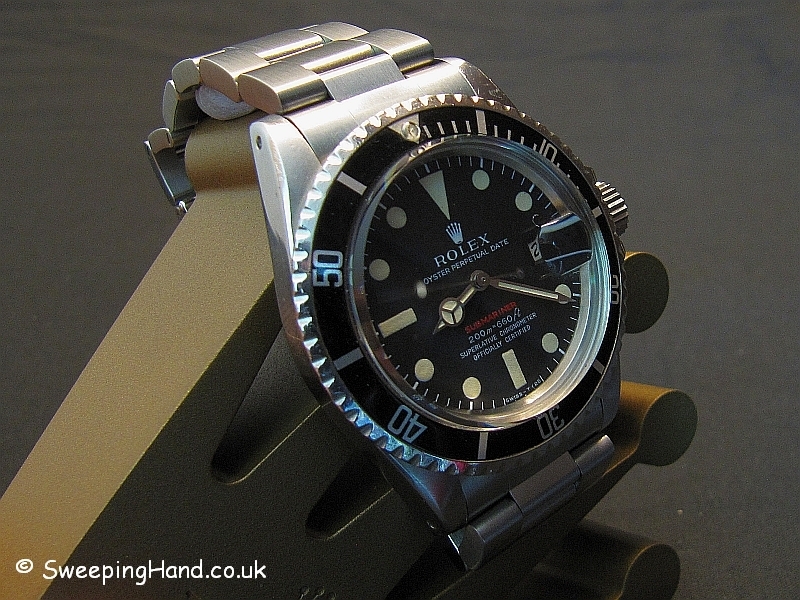 Another very rare Rolex Submariner – the metres first red sub. 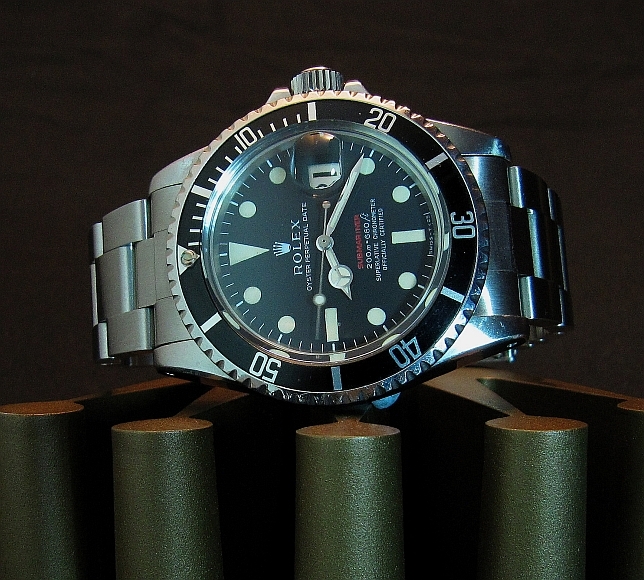 This mark 2 version of the Rolex Red Submariner was produced in 1969 with a 2.2m serial number. The Rolex 1680 Submariner mark two had a metres first red dial submariner with applied red paint over the white, similar to that of the mark one red sub. You can distinguish a mark two red sub from the mark one though by the shorter and straight ‘f’ in ft below Submariner and the ‘open’ 6’s. The wording is also less condensed together than the mk1 dial. 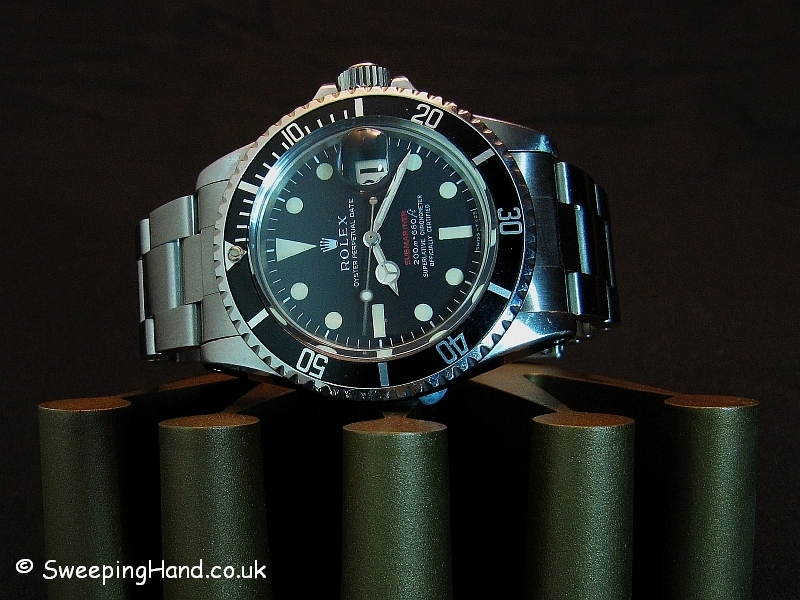 Serviced by Rolex UK it comes with the remainder of its international Rolex warranty. Case & Caseback: A correct 2.2m serial Rolex 1680 case in excellent condition with nice fat lugs. Rolex caseback correctly stamped with year, quarter and model. Serial numbers clearly visible between the lugs. Nice Rolex fat font insert with matching pearl. Bracelet: Comes on its original Rolex 9315 bracelet with correct Rolex 280 end pieces or a newer Rolex Oyster 93150 bracelet with 580 end pieces. Movement: Original non-hacking Rolex 1570 movement keeping great time having been recently serviced by Rolex UK.